Seasonal Rates, Fees, & Services. Our expertly taught golf programs are designed to meet each individual's needs. Whether it was for business purposes or to help charities raise money, we take pride in helping make every outing a success. Driving Range info & pricing. 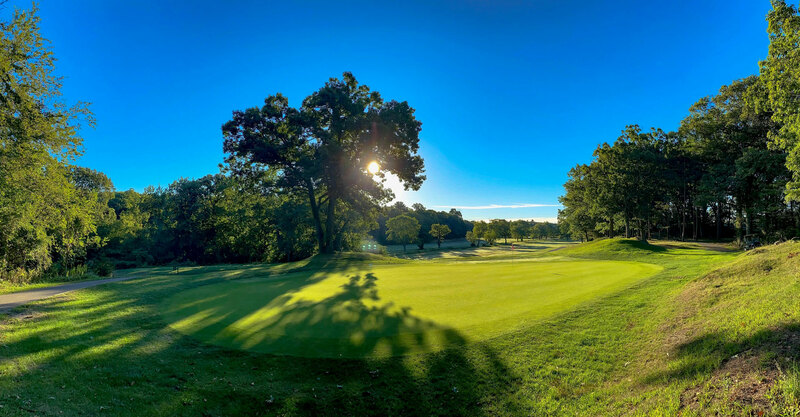 Brookline Golf Course is located in the Putterham neighborhood of Brookline, MA which was home to the legendary Francis Ouimet, who as an amateur, won the 1913 U.S. Open which was played at The Country Club of Brookline. Designed by Wayne Stiles and John Van Kleek in 1933, Brookline Golf Course is one of 35 Stiles & Van Kleek designs in Massachusetts. While the routing of the golf course seen today largely reflects their original plans, the course has gone through a few transformations, mainly due to land acquisitions along the property's perimeter adding length and additional characteristics. At over 6,300 yards, Brookline Golf Course is a great test for all players. With multiple sets of tees, it suits the beginner very well and will always give the accomplished player a challenge. The Golf Course and Driving Range are now open for the 2019 season! Join our Email Club and​ be the first to receive golf updates and tee time deals.